Today, my family and I braved the scorching heat that is sweeping across the lower Western states to run some errands. First thing on the list: get more supplies for our pet rabbit. While we were at the pet store, the good people of the SPCA of Northern Nevada were there holding adoptions. These little guys were there. I wanted to bring one home with me! I remembered reading a while back that some of the animal shelters accepted knit or crocheted blankets for the animals while they waited to be placed in their forever home. Later when I got home, I did more research and came across The Snuggles Project from Hugs for Homeless Animals. So what exactly is a Snuggle? The purpose of a Snuggle is a lot the same as a security blanket – when animals arrive at shelters, oftentimes they are frightened. Because they’re scared, they may corner in their cages, refuse the medical attention that they desperately need, or even fight off the very people that are trying to help them. They don’t know that the humans they are now coming in contact with are there to help; it makes a frightening situation that much more terrifying and difficult. The Snuggles allow the animals to feel warm, comforted, and calm. Once calm, they respond better to their caregivers. As an added bonus, Snuggles help make shelters feel more like home – for the animals and visitors alike. The Snuggles Project website states that it is “a very good project for kids and people learning how to crochet, knit or quilt because the Snuggles don’t have to be perfect. The animals love them any way they can get them. All that is required is that they be made with love.” Simple enough, right? And if you’re not sure what to make, the website also offers knit and crochet patterns. 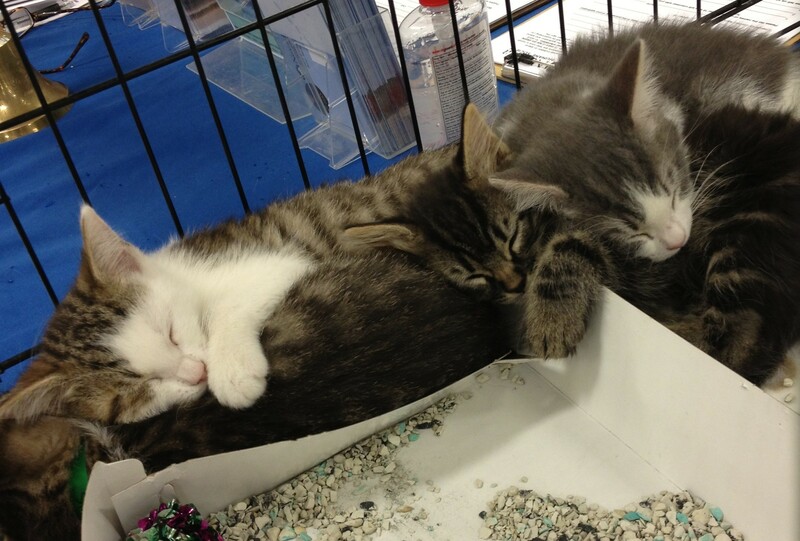 However, not all animal shelters participate in The Snuggles Project. When I looked through the directory on the Hugs for Homeless Animals website, I found that the SPCA of Northern Nevada was not identified as a participating shelter. However, in Reno, the Nevada Humane Society was a Snuggles Project participating shelter. If you don’t see your local animal shelter listed, you could always contact that shelter and ask if they run a similar program or accept knit/crochet/sewn blankets. Help an animal start their journey to their forever home by giving them an item that will help them feel like they are already home.